Los Angeles. In its first big electric vehicle investment, Amazon is leading a round of fund-raising by pickup and SUV start-up Rivian. Amazon’s specific contribution to the $700-million round wasn’t revealed in Rivian’s announcement of the deal Friday. It is the second auto-related investment this month for the online retail and technology giant; Amazon took part in a $530-million funding round for Silicon Valley-based driverless-vehicle technology start-up Aurora. Rivian is a Detroit-area start-up that first showed off its high-end electric vehicles at the L.A. Auto Show in November. Expected to go on the market within two years, the R1T truck and R1S SUV would have a base price in the mid-$60,000s, aiming at higher-income outdoor recreation enthusiasts. A more expensive version would have rapid acceleration (zero to 60mph in three seconds) and an estimated range of 400 miles. Each wheel has its own electric motor, which theoretically boosts the ability to climb over rocks and handle steep off-road spots. 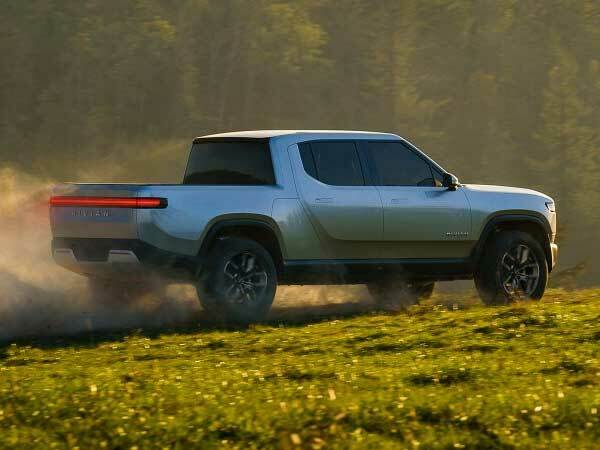 General Motors was rumoured to be another investor in Rivian’s latest funding round, but the company was not mentioned in Friday’s news release. In an interview with Bloomberg, Rivian Chief Executive R.J. Scaringe, 36, said Rivian wasn’t in dire need of funds because backers led by Japan’s Sumitomo Corp and Saudi auto distributor Abdul Latif Jameel were fully committed to seeing the company succeed. Rivian has now raised about $1.15 billion. Rivian’s success depends on continued growth of the electric vehicle market. Currently, EVs represent only 1% or so of total vehicle sales. And several companies have announced plans for electric pickups, including Tesla, though it has offered little detail. 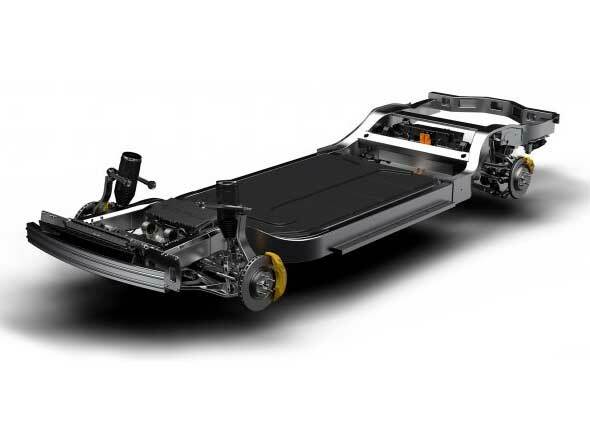 Beyond selling its vehicles, Rivian plans to sell its “skateboard” electric vehicle platform and its electric power trains to traditional manufacturers, similar to an adaptable platform that Volkswagen plans to adapt to dozens of new electric vehicle models over coming years. Amazon’s investments in Aurora and Rivian make clear its intention to profit from the incipient move toward electric and autonomous cars. The potential size of that market is hard to quantify — forecasts range from hundreds of billions to trillions of dollars — but, safe to say, it’s huge. Amazon could one day use Rivian vehicles for delivery, perhaps with Aurora self-drive technology. But that may be too narrow a way to view the investments. This year, Amazon plans to deploy 100 electric delivery vans provided by Mercedes-Benz. Amazon is also partnering with auto manufacturers to provide Alexa voice-command services to car owners; with electric vehicle charging companies to offer Amazon-organised installation of home chargers; and with Toyota on autonomous shuttle buses. The retailer’s interest in drone delivery is well-known. Not so well-known is a patent Amazon applied for recently that would use drones to recharge electric vehicles. A drone presumably would arrive faster than a AAA tow truck.